We always let the snooze button get the better of us, and often wake up with just enough time for a quick shower, a hasty brush of teeth, and the long dreaded commute to work. 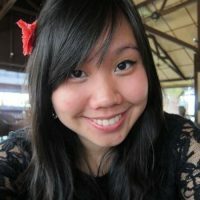 On the way, perhaps we pick up a bun at the bakery (read: white bread = simple, empty carbs), or a nasi lemak or mee goreng (read: oil and carbs) from the hawker stall. Some of us may choose to skip breakfast and gorge on an extra large lunch instead, which probably isn’t the greatest idea either. There’s no better way to kick-start your day than with a delicious breakfast that’s also nourishing your body instead of filling it with empty calories. Add them into an egg batter (beat up 2 eggs, add a tiny pinch of salt and pepper to taste). Heat up a pan with a tiny bit of oil and then throw this entire batter in till it’s almost solid, then turn over and do the other side. Top Tip: Chop up your veggies the night before to save time! You can even make these in advance and just heat them in a microwave oven! While you’re waiting for your eggs to cook, mash up a ripe avocado with a bit of salt, pepper, and a few drops of lemon juice (to keep it tangy and green!). 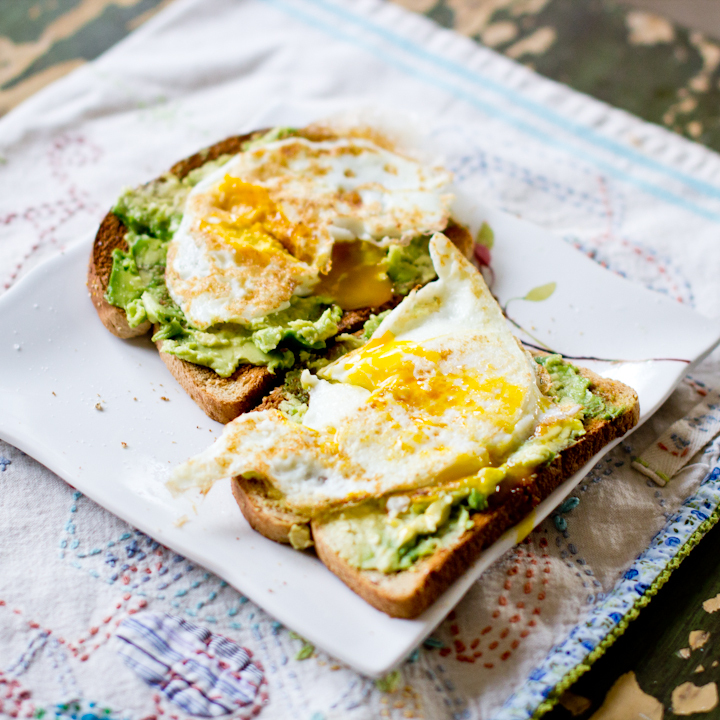 Top slices of toasted wholegrain bread with avocado mash and eggs. Enjoy! 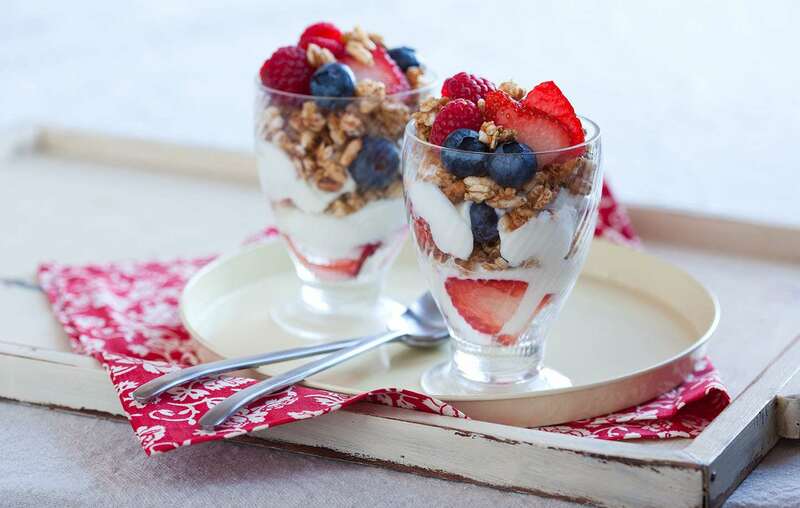 Layer with sugar-free low-fat yogurt and enjoy! Time Taken: 10 mins with fruit-chopping (chopping fruits can be time consuming! ), 1 min without! Top Tip: We suggest chopping your fruits the evening before so you can throw it together in less than a minute during the morning rush. Add some nuts or homemade granola if you like more crunch! Chop up some tomatoes, onions and herbs of your choice (we like cilantro). Toss tomato mixture with a bit of lemon juice, salt, and pepper. Add some dried chilli flakes if you like it spicy. Lay out the tomato mixture on a wholegrain tortilla wrap. Scramble up 2 eggs with a pinch of salt and pepper. 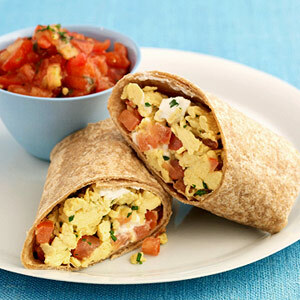 Add the scrambled eggs next to the tomato mixture along with some shredded low-fat cheese of your choice. Top Tip: This wraps up beautifully in aluminium foil / cling wrap and can be reheated at work if you don’t have time to tuck into breakfast at home. Just remember to remove the foil first! 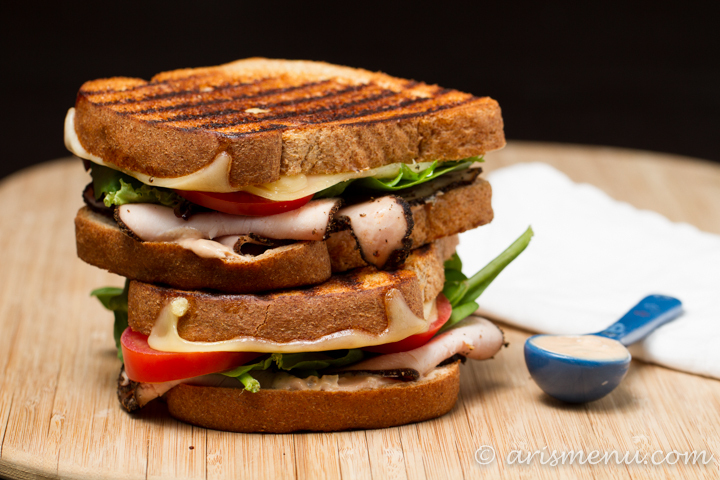 Layer one bread with two slices of turkey ham, two slices of tomato, and a slice of low-fat cheese of your choice, then top with the other bread. Place on plate and microwave on high for 1 minute for some gooey goodness (Alternatively, you can grill this on the pan or in a panini press, which would take longer than 1 minute). Add on some fresh greens (we like arugula). Top Tip: If you want to eat it after you get to the office, wait till then before you microwave it. Cook oats according to instructions. Chop up an apple and mix with a tiny pinch of cinnamon and sugar (or honey) while your oats are cooking. 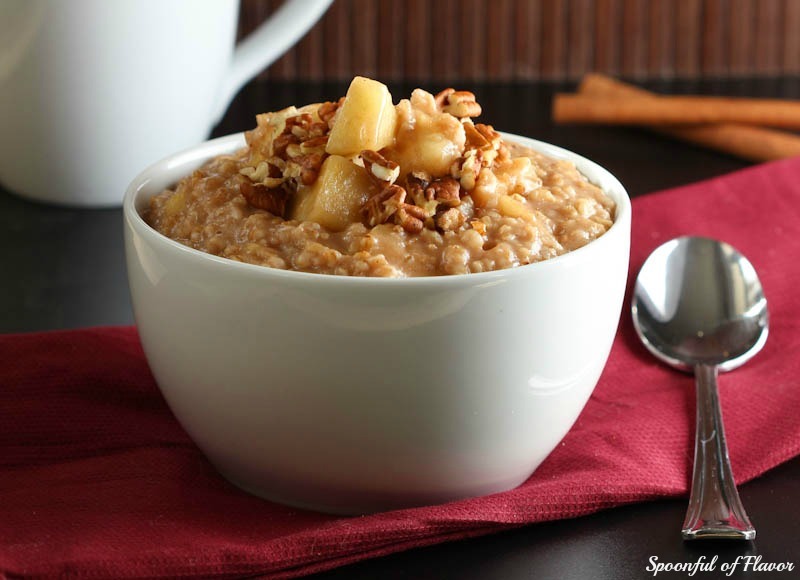 Top cooked oats with apples, drizzle with honey and dig in! Cook 1 cup of wholewheat couscous according to package instructions (this usually means boiling water and adding to dry couscous). 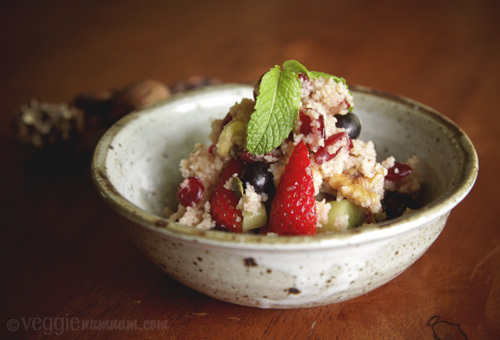 Once couscous is done, add a bit of dried fruit of your choice (we like cranberries and raisins), as well as a cup of fresh chopped fruit (apples, bananas, berries are all great, but use your favourites). Fluff up couscous with a fork and flavour with lemon juice / honey to your liking. Top Tip: Feel free to add in some nuts for crunch. You can also prepare this the night before and reheat it in the microwave, and then just top with fresh fruit. Spread two slices of wholegrain bread with sugar-free (preferably homemade) nut butter of your choice. Top with banana slices and munch away! Top Tip: If you can’t find homemade nut butters without any additives, it’s easy to make your own. Try this recipe. 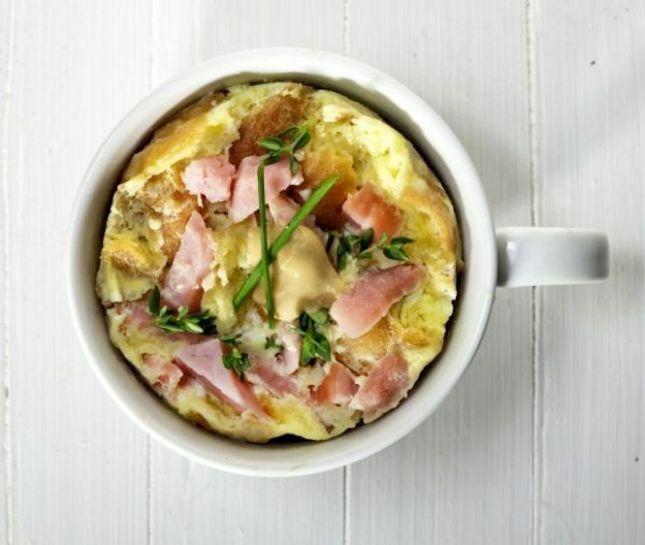 Add an egg, 2 tablespoons of milk, and a pinch of salt and pepper into a microwavable mug. Whisk till well-incorporated and then add in veggies of your choice (chopped tomatoes, mushrooms, spinach, etc) and chopped up turkey ham and shredded low-fat cheese. Microwave on high for 1 min until egg is cooked. Garnish with chives for a burst of colour and flavour. Top Tip: Experiment with ingredients that you like until you find that perfect flavour of your choice! Rinse 1/2 cup quinoa in water then drain. 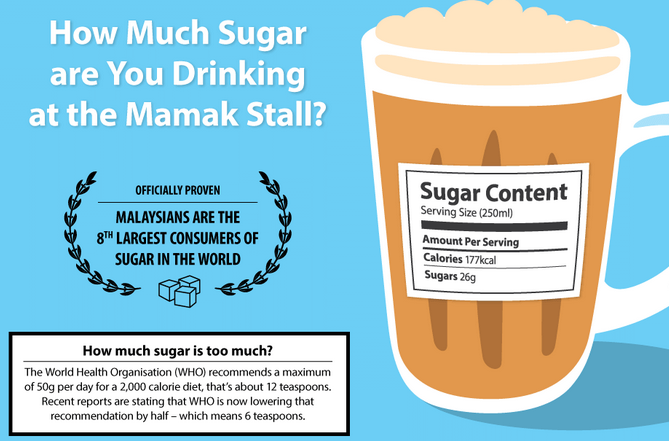 Stir in 1 cup cold water, 1/2 tsp cinnamon and 1 tsp butter. Microwave on high for 4 mins, stir then microwave for 3 more mins. Remove and cover with foil, let sit for 2 mins. Fluff up quinoa and stir in 1 tsp butter. 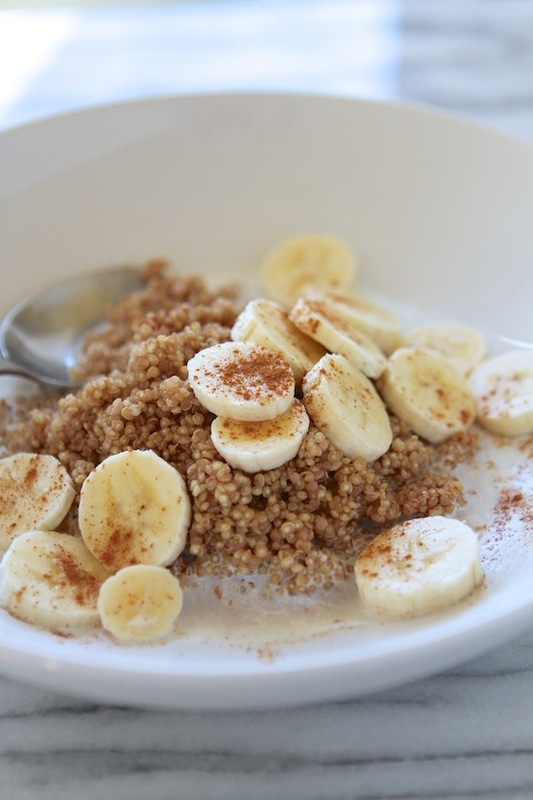 Top with milk, maple syrup, banana slices and cinnamon to taste. Top Tip: Cover your bowl while cooking in microwave so it gets cooked faster. Full recipe here. Here’s a bonus recipe for you. It’s not 10 minutes, but trust us, this 15 minutes is worth your time. To make a batch of six, sauté 1 large chopped yellow onion and a handful of spinach with olive oil, herb of your choice (chives or thyme works great), salt and pepper. 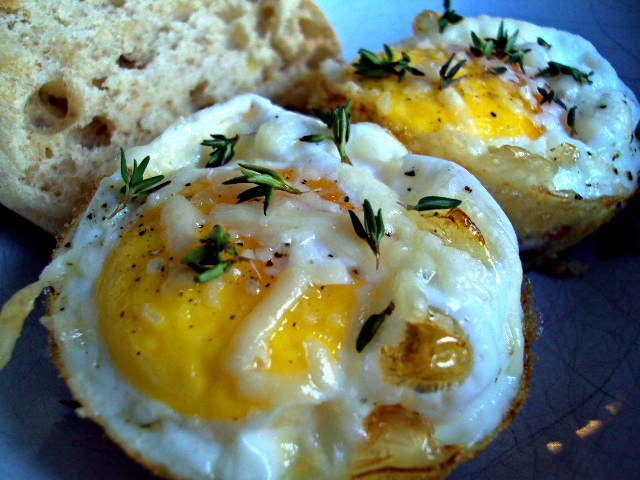 Crack 6 eggs into a muffin pan (1 egg per hole) and portion out the sauteed onions then sprinkle them in. Add half a cherry tomato, a pinch of salt and freshly ground pepper on each egg, pierced the egg yolk and sprinkle the top with shredded low-fat cheese (optional). Top Tip: Make these ahead the night before (or even the weekend before — they freeze great) and reheat in microwave oven. Two of them and a slice of wholegrain toast makes a great wholesome breakfast! We hope these have helped spark some ideas for you to enjoy more nutritious breakfasts in the future! 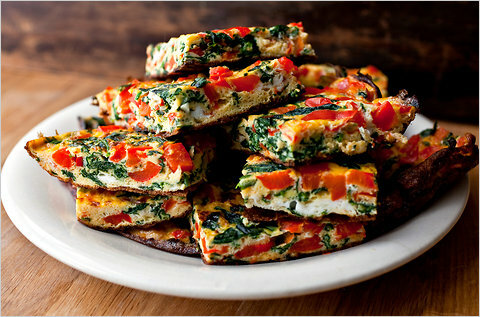 Have a great and quick breakfast recipe up your sleeve? Share them with us in the comments below or on our Facebook page! Gluten, casein, fructose, and night shades is your definition of healthy? Wow. This was some really horrible junk food list.